The Giulia SL is Sensa's lightest frame to date just tipping the scales at 845 gram for a medium size. 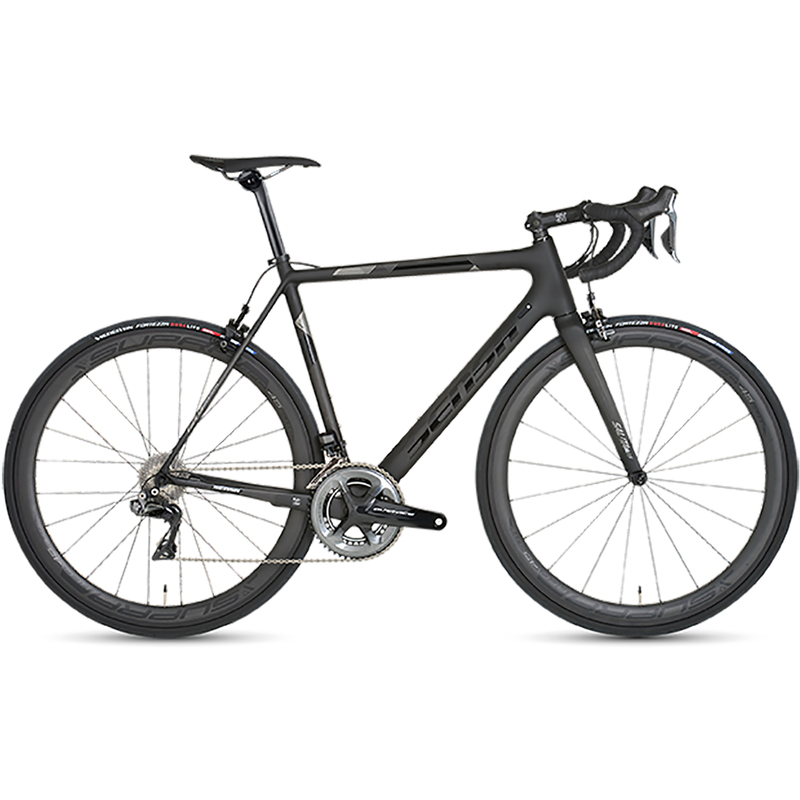 The focus on weight lead to a functional and straight forward racer. Sensa used the latest blend of UD Generation 6+ Carbon with Zero Void Curing technology and went all the way by making even the headtube-cups of carbon fiber. To shed even more weight the frame is finished in a lightweight transparent polish to help cut the air smoothly. To still ensure maximum stiffness an oversized PF86 BB is attached to a large downtube. To keep the Giulia Super Leggera comfortable, the rear stays taper into a slim dropout whichs make the ride even smoother making it Sensa's most comfortable racer. The SL can take up to 28mm of rubber. The Salita SL fork links to the tapered headtube, ensuring stable steering in the descent. The geometry is suitable for comfortable rides and up to racing.